ALTHOUGH two machines have been entered by A. V. Roe and Co., Ltd., there will, in reality, be only one machine flying, and the reason for ДальшеMore>>> entering the machine as two different ones was that by so doing it became possible to use two different engines, thus avoiding "putting all one's eggs in one basket," so to speak. 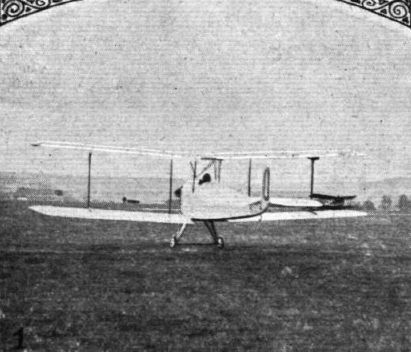 Last year, it may be remembered, the Avro monoplane flown by Hinkler had an extra pair of wings of smaller area than the standard, but the machine was not permitted to fly in the competition as it had not been separately entered. 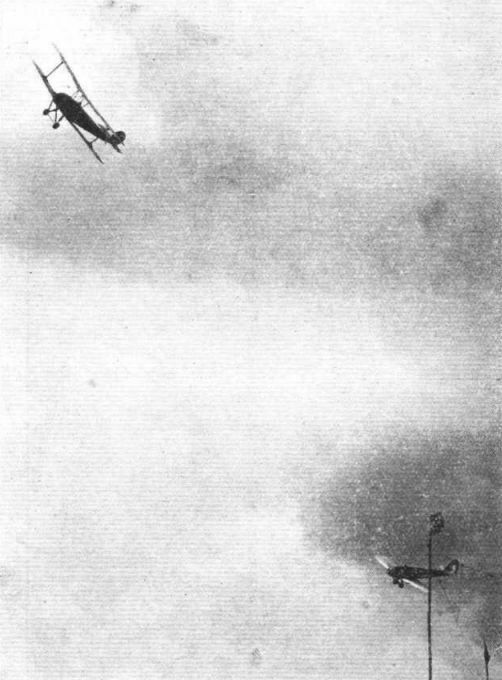 To guard against a recurrence of some such dispute, two machines were entered, although actually but one will be flying, but with different engines. The engines chosen are the Bristol "Cherub" and the Blackburne radial. Our general arrangement drawings show the machine with the "Cherub," while the photographs illustrate it with the Blackburne installed, so that an idea of both arrangements should be obtainable. Remaining a true Avro in general lines, the "Avis" nevertheless shows many novel and interesting features, especially as regards the wing bracing. It is an equal-span, equal-chord biplane with a single I-strut on each side, but with only one set of bracing wires. A "thin" wing section is used, built up with I-section spars and Warren girder ribs. The drag bracing is solid piano wire, but an unusual feature is found in this bracing close to the I-strut attachment. 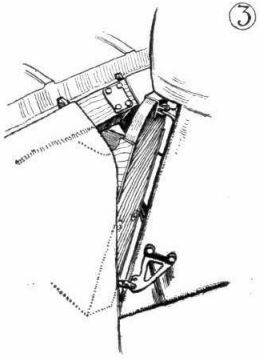 From about the centre of the strut, or rather the special rib under the foot of the strut, diagonal struts run to front and rear spars. Where the struts meet the spars a fore-and-aft tie-rod is placed in a position usually occupied by a compression member of the drag bracing. The stresses are transmitted evenly to front and rear spar and extra stiffness added to the structure. The lift wires, which like the anti-lift wires are in duplicate but placed in close proximity to one another, are attached at their lower end to the fuselage at a point between the spars, and this point of the inner rib is also anchored to the fuselage, so t h a t this rib is supported in three instead of two places. 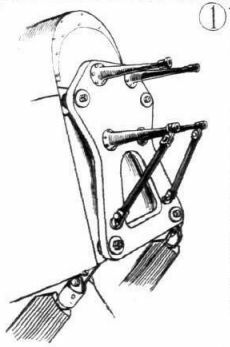 The peculiar bracing arrangement, while making folding a little more difficult on account of the extra supporting wire needed in the folded condition, should save a fair amount of head resistance. It may be recollected that on a small Avro biplane with back-swept wings, flown by Raynham in 1914, a similar system of bracing was adopted, and the form is one which would appear to have certain advantages, although at first sight it looks somewhat startling. Certainly it reduces to a minimum the exposed portions of the biplane bracing, and except for going into cantilever wings it would be difficult to imagine a "cleaner" biplane. The top centre-section has tubular spars and struts but ordinary wood ribs. 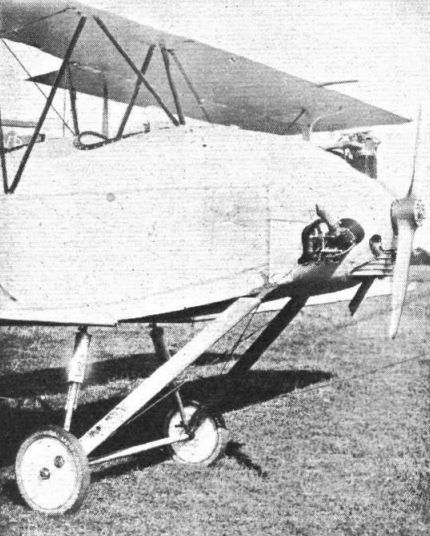 In order to give access to the front cockpit the strutting of the centre-section is somewhat unusual. The spars are supported on two vees, one on each side, while the front spar is laterally braced by tubes converging on the centre-line of the fuselage, ahead of the front cockpit. The ailerons run the whole length of the wings, and have a large diameter Duralumin leading edge forming a torque tube operated by cranks at the inner end. Variable flap gear is provided, the rear end of the longitudinal rocking shaft being raised and lowered by a worm. 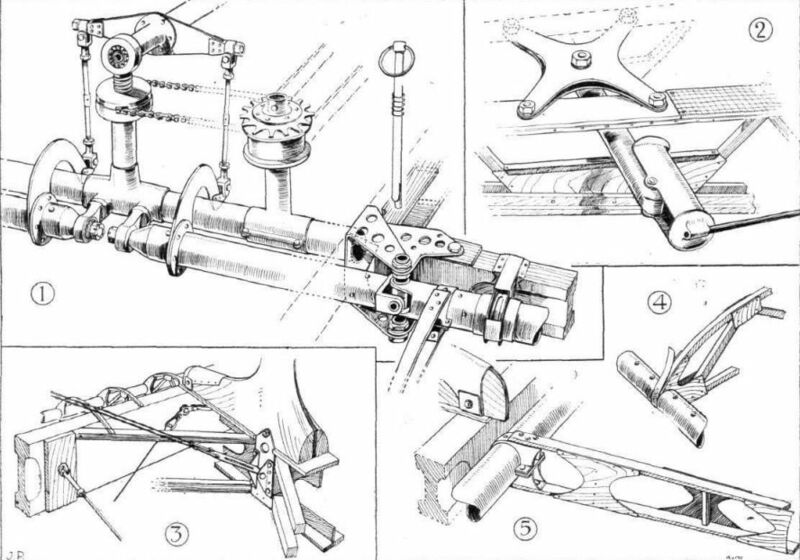 This worm gear is very beautifully carried out, and is illustrated by sketches. It will be seen that as the shaft is raised, the cranks are raised with it and the flaps depressed. The differential action is still retained. Only the bottom plane flaps are directly operated, the top flaps being connected to them by struts near the inner end. The wings are arranged for folding, the hinge pin being moved into a steel bracket off-set from the centre-line of the spar when the wings are folded. When spreading the wings this bolt is withdrawn and put into the hole on the centre-line. 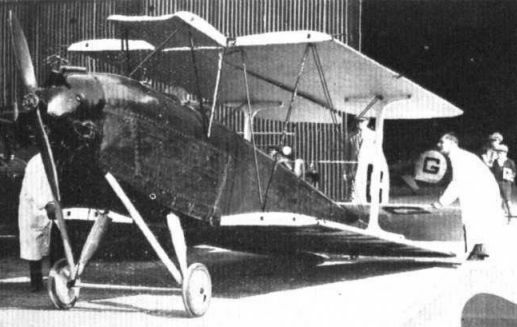 The fuselage is of similar construction to last year's Avro machines - i.e., square-section longerons with Warren girder strut bracing, secured by three-ply gussets or "biscuits" as they are sometimes called. This form of construction seems to be becoming popular for light 'planes, and it certainly avoids the necessity of trueing-up after hard use. The fuselage is fabric covered, except for the deck fairing, which has a three-ply covering underneath the fabric. Controls are of usual type, with wood "joy-sticks," but the foot bars are rather ingeniously arranged to give a parallel movement. In a narrow fuselage it is difficult to provide against the pilot's foot slipping, owing to the great angle of a short foot bar. In the Avro "Avis” a parallel link motion is imparted to the front foot bar, which is somewhat shorter than the rear one, and the pilot's feet do not rest on the bar itself but on stirrups which always remain at right angles to the centre line of the fuselage. An oleo undercarriage with very long travel is employed, the front chassis struts acting as radius rods for the axle. In proportion to the wing span the wheel track is fairly wide, and with the good shock absorbing properties of the oleo gear the machine should handle well on the ground and should stand up to some fairly rough landings such as it might receive in school work and, incidentally, in the low-speed tests at Lympne. Lateral bracing is between front struts only. 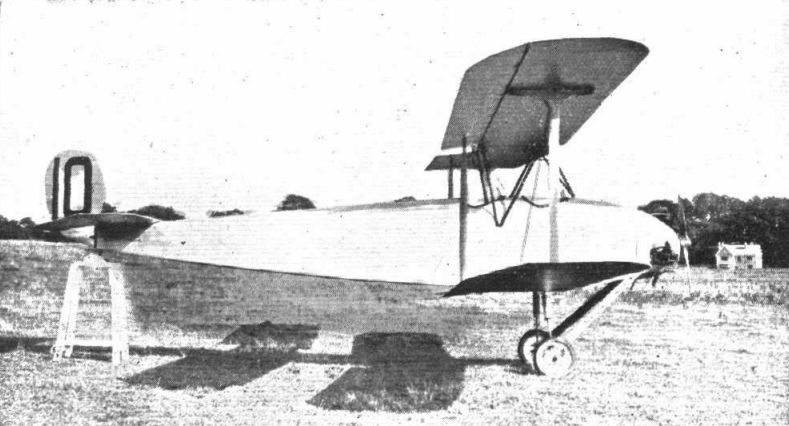 The Avro "Avis" will be piloted in the competitions by Hinkler, and in view of the clean design and the wing flap gear the speed range should be considerable. The workmanship is very fine, and especially so that put into the variable camber gear, which as a matter of fact looks almost too good and perfect for a school machine. This machine was designed and built for the 1924 light 'plane competition, when it was fitted with a Bristol "Cherub" engine. With this engine the "Avis" also took part in the meeting held at Lympne in August of last year. The machine is thus not a new one, and is probably regarded more as a "second string" to the "Avian." 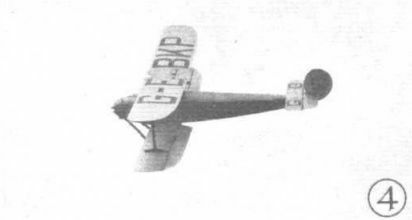 It is a biplane of somewhat typical Avro lines, but its performance is slightly handicapped by a fairly high structure weight. For this year's competition the "Avis" has been fitted with one of the new Blackburne "Thrush" radial air-cooled engines. In this connection it is of interest to note that for the 1924 meeting two machines had been entered, one of them fitted with the earlier Blackburne radial (the "Badger"). It will thus be interesting to see how the machine performs with the latest Blackburne. 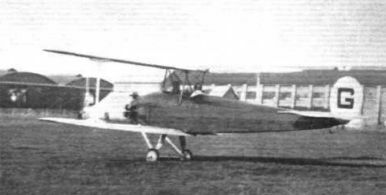 THE AVRO "AVIS": Three-quarter rear view. Note the single bracing. THE AVRO "AVIS," BLACKBURNE RADIAL ENGINE: Side view. THE AVRO "AVIS": View of the engine mounting, undercarriage, etc. No. 10. 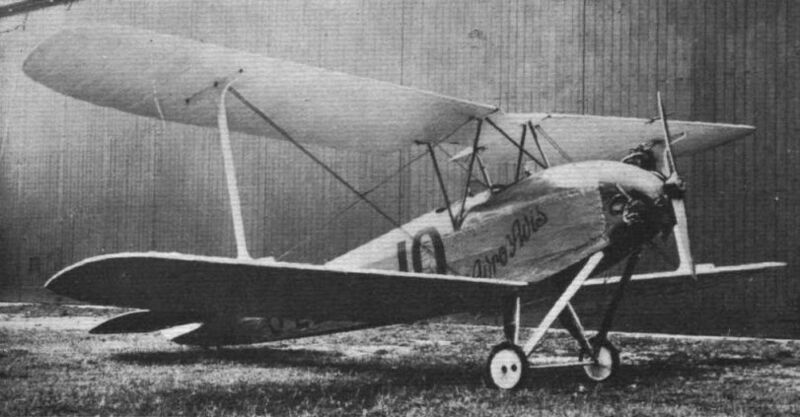 THE AVRO "AVIS": Three-quarter front view. 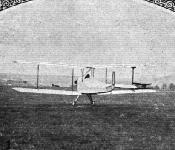 SOME LIGHT PLANES COMPETING AT LYMPNE: The Avro "Avis" with Bristol "Cherub." 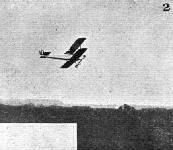 THE TWO AVRO'S IN THE TESTS: 2, Douglas away on the "Avis" on Sunday morning. This machine has since been eliminated by a damaged undercarriage. The Avro "Avis" has difficulty in getting "unstuck." 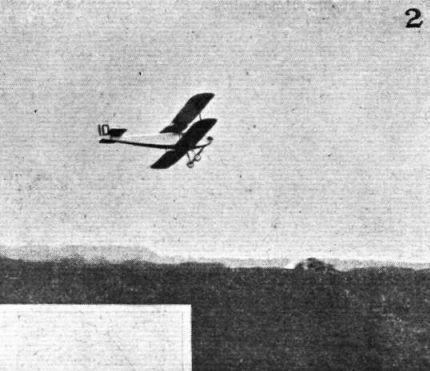 THE LIGHT 'PLANE RACE FOR THE GROSVENOR CHALLENGE CUP: The winner, Bert Hinkler, on the Avro "Avis" (Bristol "Cherub"), crossing the finishing-line first. Hinkler on the Avro "Avis." A LYMPNE REMINISCENCE: Bert Hinkler on the Avro "Avis" leading Boyes on one of the D.H.53's. The picture gives some impression of Hinkler's masterly handling of the "Avis." LINING UP FOR THE LIGHT 'PLANE HOLIDAY HANDICAP: the machines getting ready for the first heat. LINING UP FOR THE LIGHT 'PLANE HOLIDAY HANDICAP: the line-up for the final. GROSVENOR CHALLENGE CUP RACE: the line-up of the machines. READY FOR BRIGHTON: Some of the machines lined up ready for the start on the first circuit on Sunday morning. On the right, the Bristol "Brownie," which was the first machine away. The other machines are the Parnall "Pixie," the Avro "Avis," and the de Havilland "Moth." THE FIRST OF THE ELIMINATING TESTS AT LYMPNE: Some of the competing machines photographed during the folding, housing and re-erecting test. 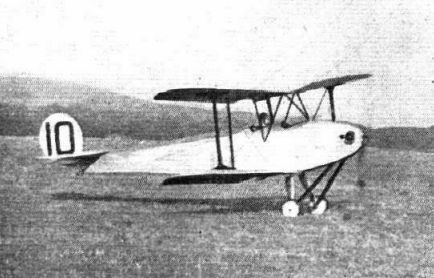 1, the Avro "Avis." NOT A TUG-OF-WAR: This is not a tug-of-war between rivals in transport, but one of the features in the Transport Parade held in connection with the Manchester Civic Week. 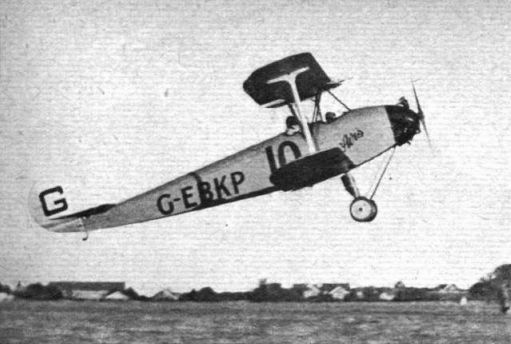 The Avro "Avis" light 'plane towed by the 18-50 h.p., six-cyl. Crossley car created a good deal of interest. CONSTRUCTIONAL DETAILS OF LIGHT 'PLANES AT LYMPNE: (1) Mounting for Bristol Cherub on Avro "Avis"
CONSTRUCTIONAL DETAILS OF LIGHT 'PLANES AT LYMPNE: (3) Rudder and elevator hinges on Avro "Avis." The elevator gap is afterwards covered with fabric strip. 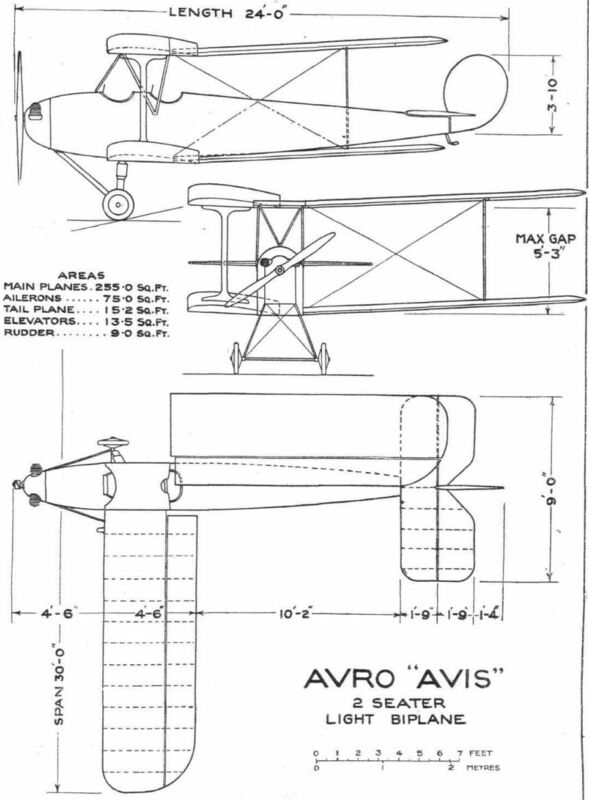 THE AVRO "AVIS." SOME CONSTRUCTIONAL DETAILS: 1, the very beautifully-made wing flap gear. Rotation of the worm gear raises the longitudinal shaft, and with it the crank joined to the two wing flap cranks. The result is that both ailerons are depressed. Shafts, etc., work in ball bearings. 2 shows how a parallel movement is imparted to the stirrups of the front foot bar. In 3 is shown, cut through to show the construction, the foot of the inter-plane I-strut. Note the unusual bracing, with struts running diagonally to the spars and a tie-rod from front to rear spar. 4 shows the rib construction and attachment to tubular leading edge, and 5 an aileron and its attachment to the Duralumin torque tube. A FEW UNORTHODOX TAIL SKIDS ON LYMPNE MACHINES: The Bristol is a leaf-spring and the Avro a bent tube. The Short has a long straight, tubular skid, and the Westlands a horizontal Vee with compression spring to the stern-post.